Remove the lower anchor cap (A). 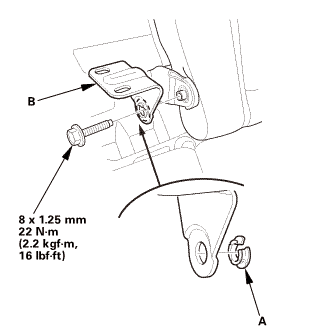 Remove the lower anchor bolt (B). 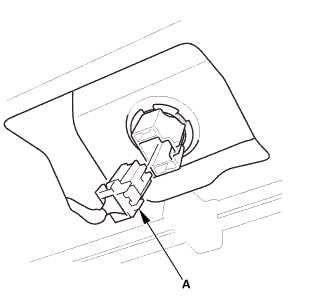 Remove the opener lock cylinder (B). 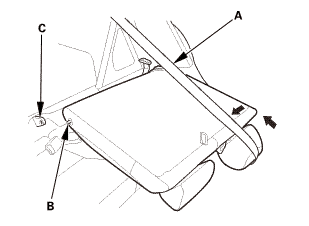 Remove the right rear seat-back (A). 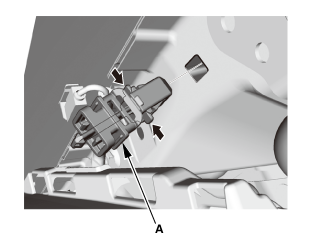 Remove the center pivot bracket (A). 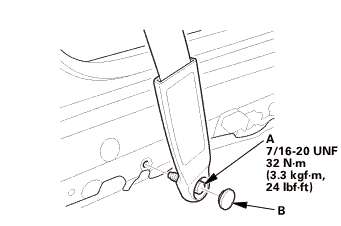 If necessary, remove the bushing (B). 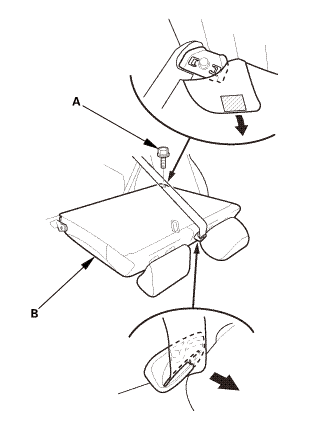 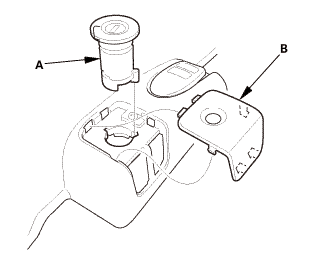 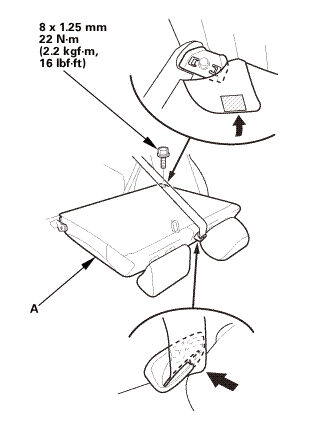 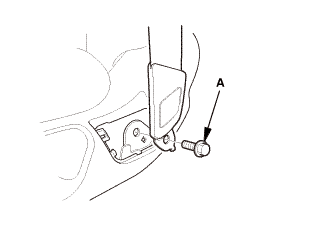 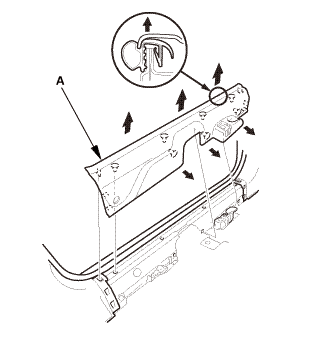 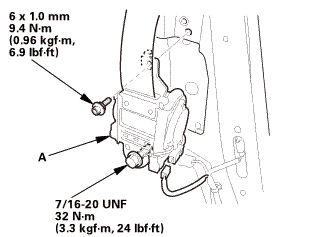 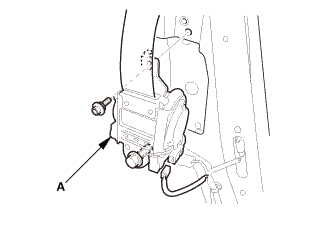 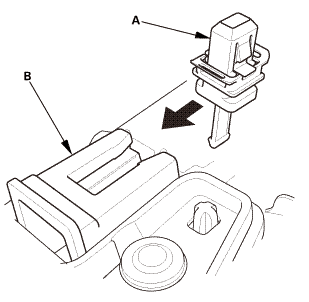 Remove the bolt (A) securing the left rear seat-back (B). 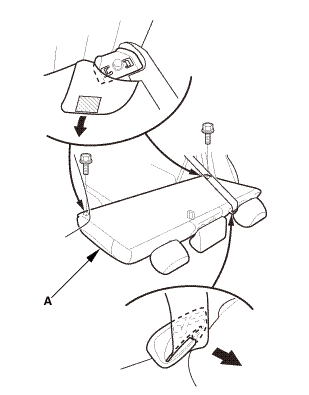 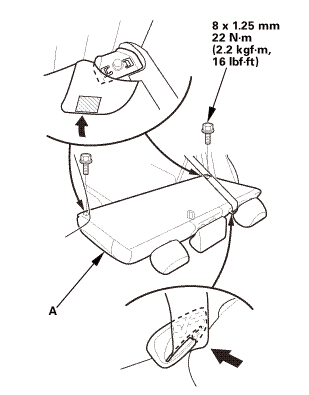 Extend the center seat belt (A), then remove the left rear seat-back (B). Remove the cap (A) and the clip (B). 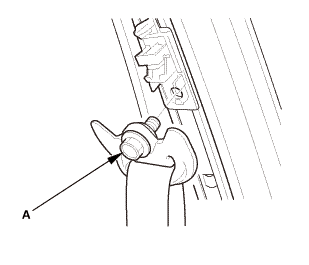 Lower the coat hanger hook (A), then remove the screw (B). 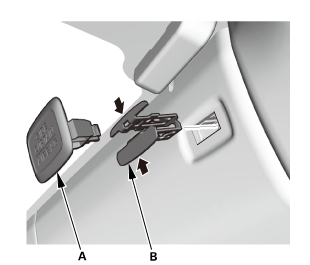 Pull out the quarter pillar trim (A) to release the clips. 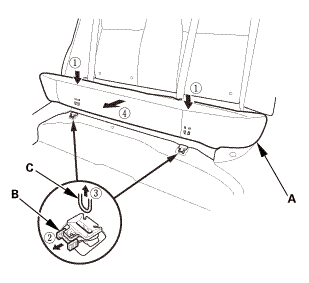 Remove the quarter pillar trim. NOTE: The rear clip (B) will stay in the body. 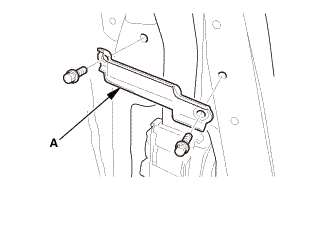 Remove the rear clip (A). 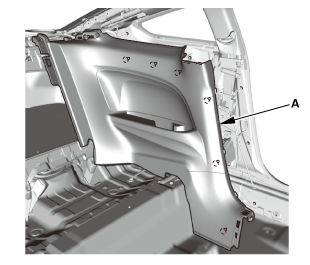 Remove the rear side trim panel (A). 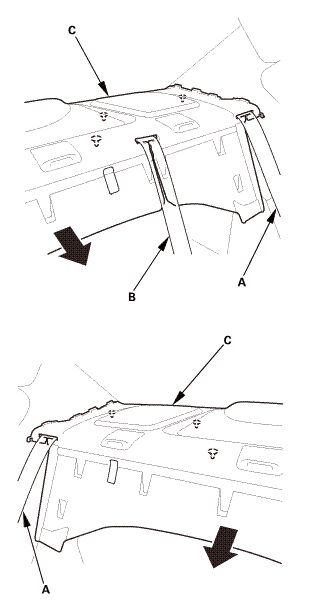 Remove the B-pillar upper trim (A). 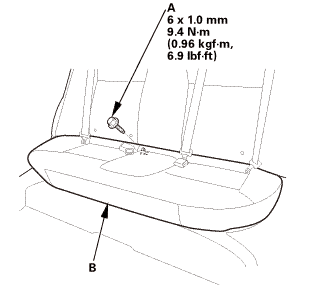 Pass the front seat belt lower anchor (A) out through the hole in the B-pillar upper trim (B), then remove the trim. 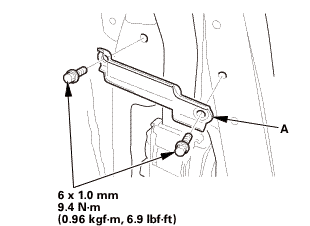 Remove the upper anchor bolt (A). 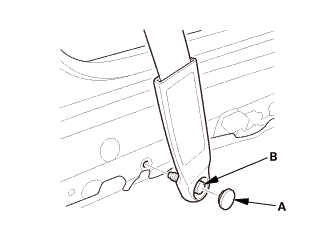 Remove the seat belt guide (A). 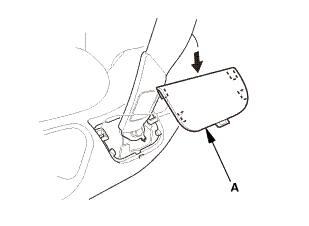 Remove the seat belt retractor (A). 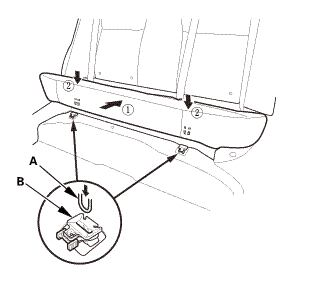 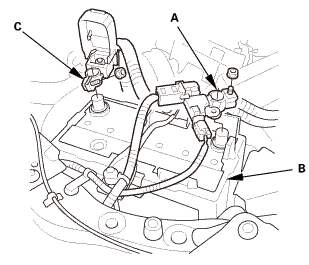 Install the seat belt retractor (A). 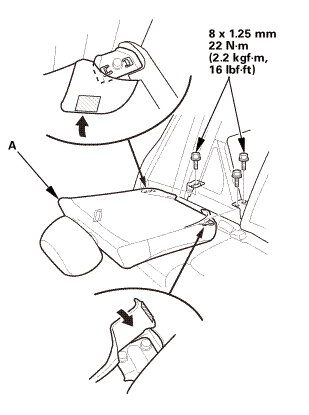 Install the seat belt guide (A). 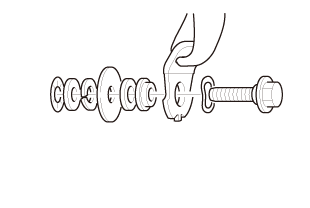 Assemble the washer, the collar, and the bushing on the upper anchor bolt as shown. 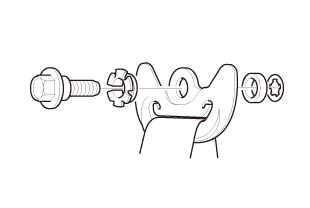 NOTE: Apply medium strength liquid thread lock to the upper anchor bolt before reinstallation. 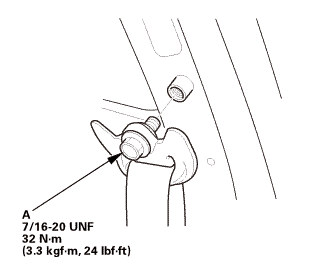 Install the upper anchor bolt (A). 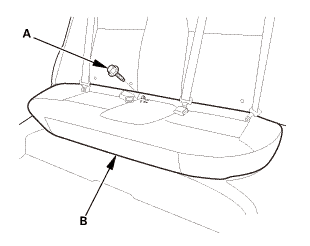 Pass the front seat belt lower anchor (A) in through the hole in the B-pillar upper trim (B). Install the B-pillar upper trim (A). 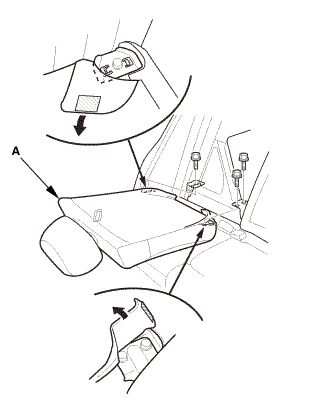 Install the rear side trim panel (A). 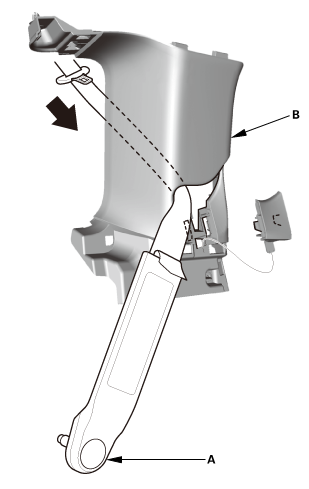 Install the new rear clip (A) to the quarter pillar trim (B). 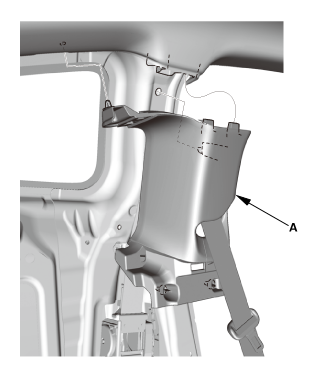 Fit the clips into the holes in the quarter pillar. 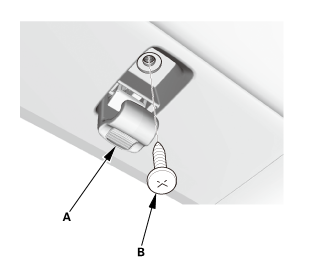 Lightly push the quarter pillar trim (A) into place, then install the trim. 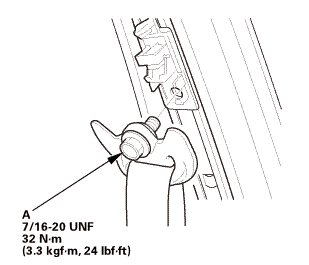 Do not push too hard on the quarter pillar trim. 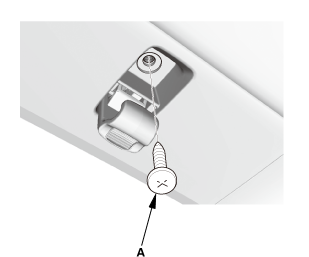 If you push too hard, the clip will be damaged, and it will not hold the trim properly. 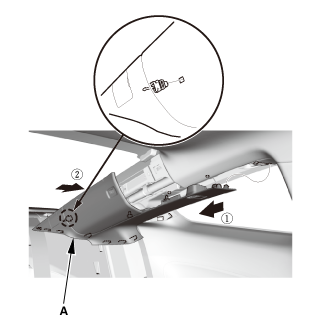 Gently tug on the quarter pillar trim to verify that all clips are securely fastened. 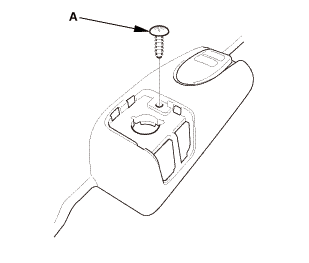 Install the clip (A) and the cap (B). 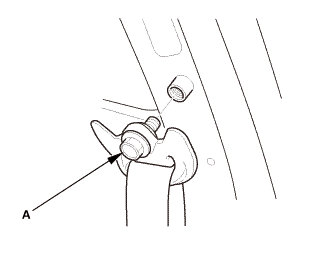 Extend the center seat belt (A), then install the pivot shaft (B) to the center pivot bracket (C). 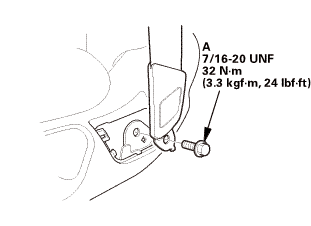 Install the left rear seat-back (A). 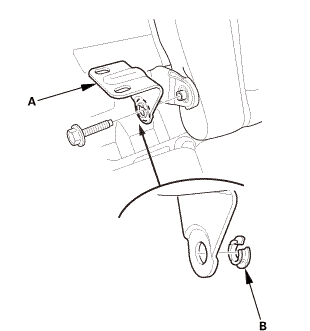 If necessary, install the bushing (A). 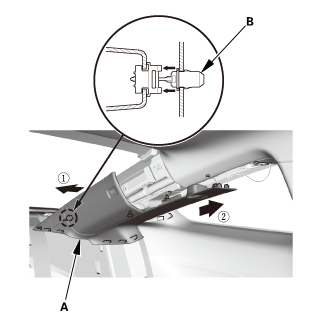 Install the center pivot bracket (B). 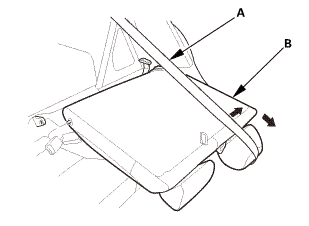 Install the right rear seat-back (A). 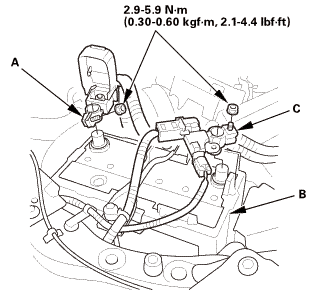 Install the anchor cover (B).